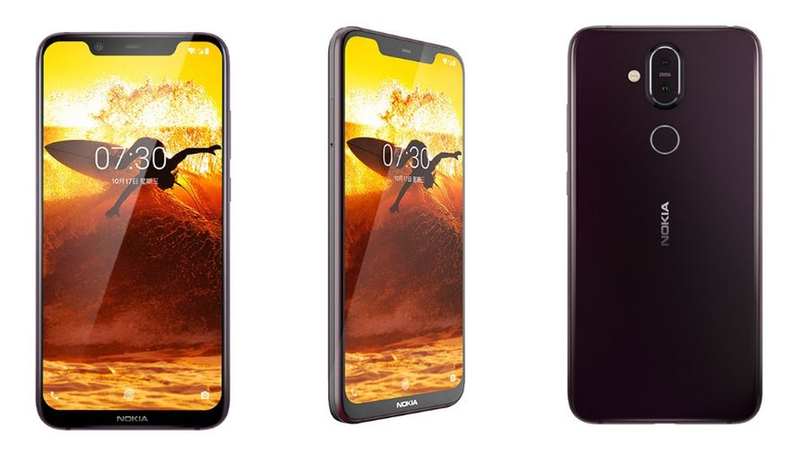 Nokia Mobile recently announced on Twitter the arrival of the much-anticipated Nokia 8.1 phone. To the uninitiated, the twitter handle is operated by HMD Global, the sole copyrights holder for selling Nokia branded mobile phones and tablets in the world. The tweet also mentioned an array of improvements over its predecessor, the Nokia 8 phone. The punchline in the tweet is “the new Nokia 8 gets smarter and better over time.” This may be pointing towards the new Qualcomm Snapdragon 710 SoC, PureDisplay screen technology that’s well supported by HDR10 capability, and improvements to camera hardware and software among other upgrades. The phone comes with a big 6.18-inch FHD+ screen. Design wise, it features a dual-tone metal frame as well as a big notch. The phone comes with 4GB RAM and 64GB ROM. The tweet also boasts of two-day battery life with its 3500mAh rated battery but that point is highly contentious and can only be validated once the phone hits the streets. Coming to the cameras, the dual rear camera is composed of 12MP+13MP sensors made by Zeiss with OIS capability and a host of AI-assisted features like Live Bokeh. The front camera is a 20MP snapper that reportedly takes amazing selfies even in low light. The phone runs Android Pie out-of-the-box. There hasn’t been any official communication yet from HMD Global regarding the phone’s pricing or when it’s going to launch in the world market. It is clear, though, that the phone will be priced at the higher-mid range since it’s not a flagship device owing to the non-flagship-like Snapdragon 710 processor. This also brings up the question what will be Nokia’s next flagship device?